Capgemini Italia is a member of the Capgemini Group, one of the world's leading providers of consulting, information technology and outsourcing services, with almost 145,000 people in over 40 countries,. The Group reported 2014 global revenues of EUR 10,573 billion. We help central and local organizations in the public sector and the various agencies to modernize services to citizens by reducing the cost of delivery. We are global leaders in IT systems for smart grid and smart meter. We help companies to overcome the continue regulatory changes and the growing environmental concerns. We rationalize applications and IT infrastructures of the financial organizations, helping them to create innovative business models based on mobility and smart data management. We support clients in overcoming the various challenges in the field using technologies such as cloud computing, to create e-commerce platforms and improve the consumer experience. With over 30 years of industry experience, we offer innovative solutions based on a deep understanding of telecommunication and digital, as well as a proven expertise in the field of networks. 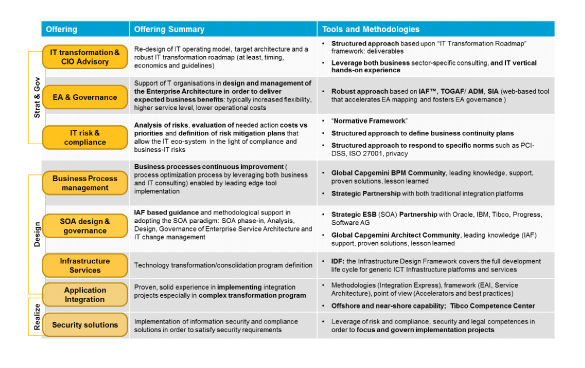 Throughout all the sectors above Capgemini Italia BU "AD Solution and Integration" features a rich transversal offering covering Enterprise Architecture. 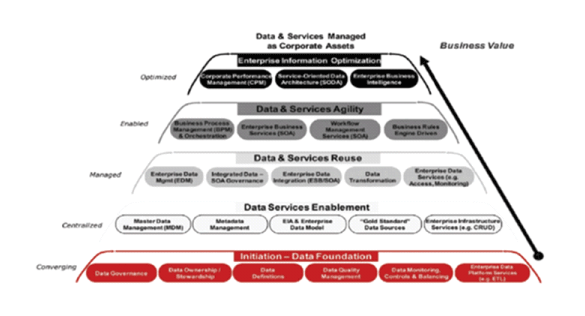 Target Architecture components are business maps, information structure, application landscape, data plows, infrastructure, IT organization and governance, security and SOA governance. 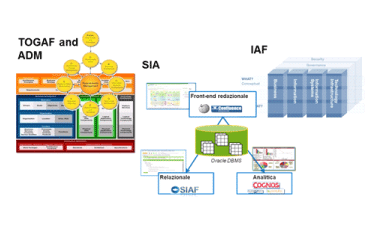 Capgemini Italia AD Solutions & Integration WSO2 Competence Center has developed the solution framework AIF (Adaptive Integration Framework), an open solution platform based on open source products selected out of successful business cases. The full scope of AIF solution is represented in Picture 1. 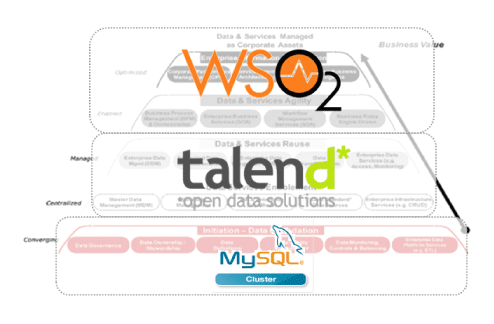 As it's evident from the application map shown in WSO2 products at the moment are used to cover the highest-value features in the scope.